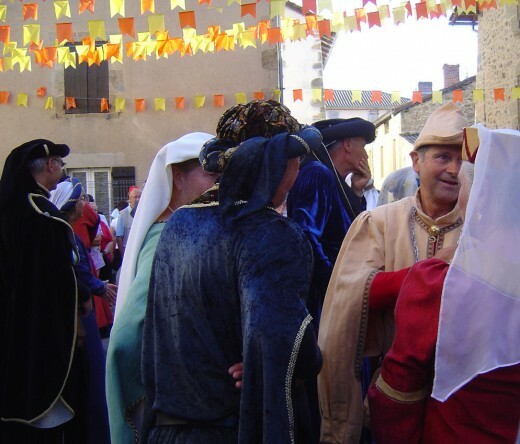 The Medieval Festival, Rochechouart: Mark the date in your diary! Every year the quaint medieval town of Rochechouart, Limousin, France, holds a splendid medieval festival, or fête Médiévale, that brings the middle ages alive again, in all its glory. Sadly, no festival for 2014! Lets hope they start them up again. The whole town is devoted to celebrating life as it would have been in those times. There are costume parades, dancing, music-making and song. The very animals of the time appear on the streets: wolves, ancient and terrifying, breeds of dog, horses and pigs. The latter are to be found turning gently on spits over open fires, roasting deliciously. 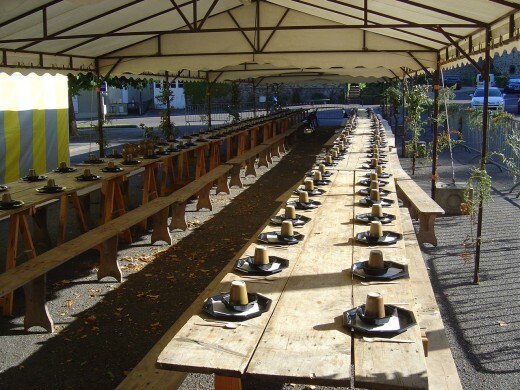 These are to be served as part of the medieval banquet held in the square at the foot of the great, imposing castle of Rochechouart, before the draw-bridge. It is just one of many medieval festivals in France. 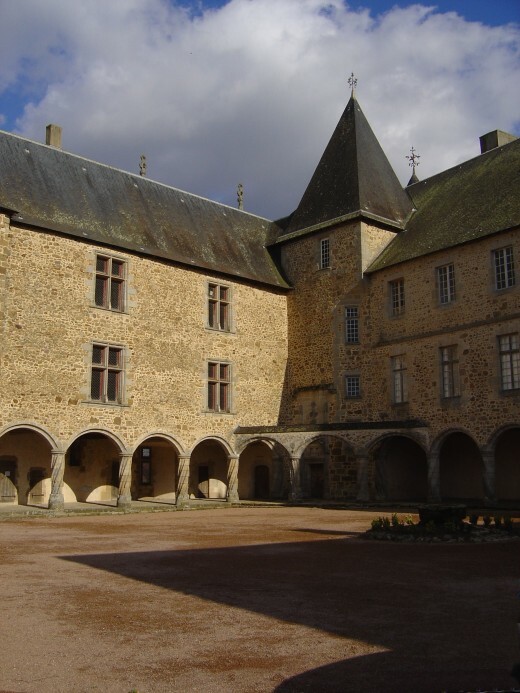 Situated within the natural park of Perigord-Limousin, Rochechouart is about halfway between Limoges and Angoulême. 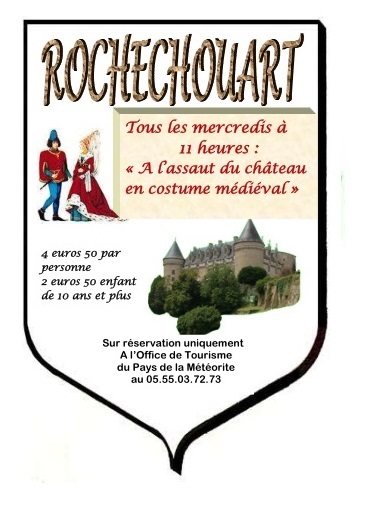 "A l’assaut du chateau en costume medieval" - dress up in medieval costume and make an assault on Rochechouart Castle. 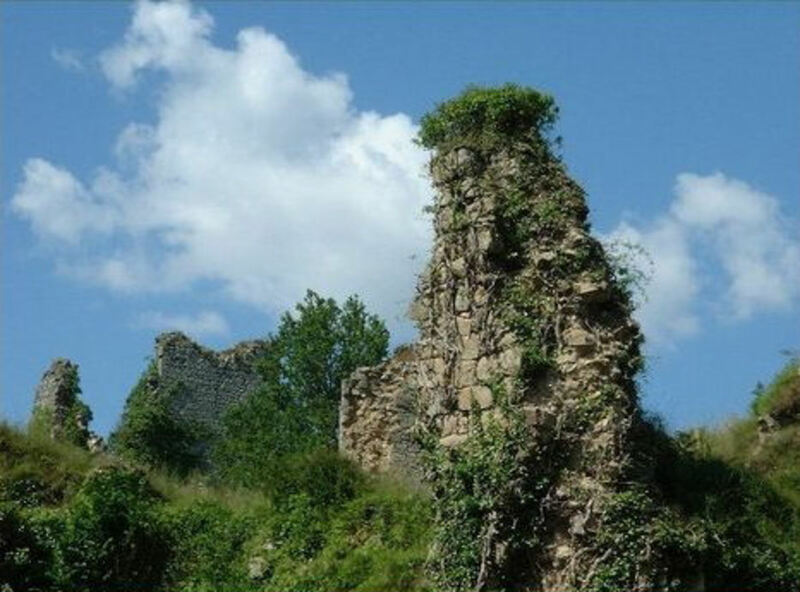 Learn a bit about the history of the castle and it's environment. Everybody loves to dress up! Every Wednesday at 11am - but probably only during summer - always better to check before you go. Rochechouart Castle is now a centre for Contemporary Art, the magnificent Château of Rochechouart towers over the Valley of the river Graine and the beautiful Limousin countryside. 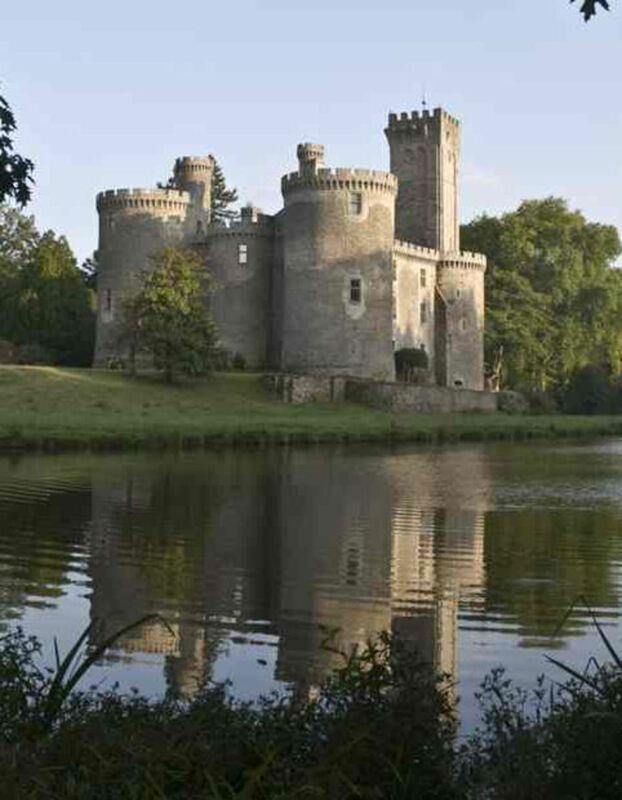 The castle dates from the 13th and 15th centuries, and was refurbished in the 17th and 18th centuries. Inside you will not only find stunning art exhibitions, but also 16th century frescoes depicting a hunting scene in one room, and the Trials of Hercules in another. In this latter room the Herculean tasks have been teamed with a striking piece by Richard Long. You will enter the castle from the north side by means of the drawbridge and are faced with a beautiful, sunny garden, shady gallery and courtyard. The gallery is supported by heavy, twisting columns which echo the unusual twisted spire of Rochechouart Church. Shortly after I arrived in Limousin with my five year old son, it struck me that a rather large proportion of the books in the childrens' section of the local library were about wolves and witches. Only recently, now that my French is good enough to attempt to read the local history, have I discovered the rich reservoir of tales and legends from this region, and the large part that the wolves played in this. Nor is the memory of Wolves so ancient. The last Limousin wolf was killed in 1926 and other accounts say that wolves lived in the wild in France until 1930, and that the last official killing of a wild wolf was in 1954 in the Isere. 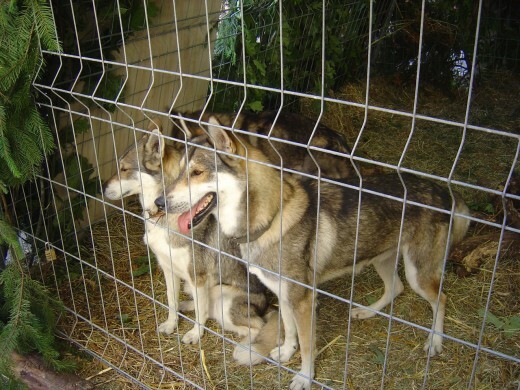 Now a wolf sanctuary has been established in Gueret, Limousin where you can see the wolves, and, above all, hear that haunting howl. This video of the Ostensions at Saint Junien, fifteen minutes away from Rochechouart, gives an excellent flavour of the atmosphere at the Mediaeval Festival, albeit the Ostensions are very much more formal. 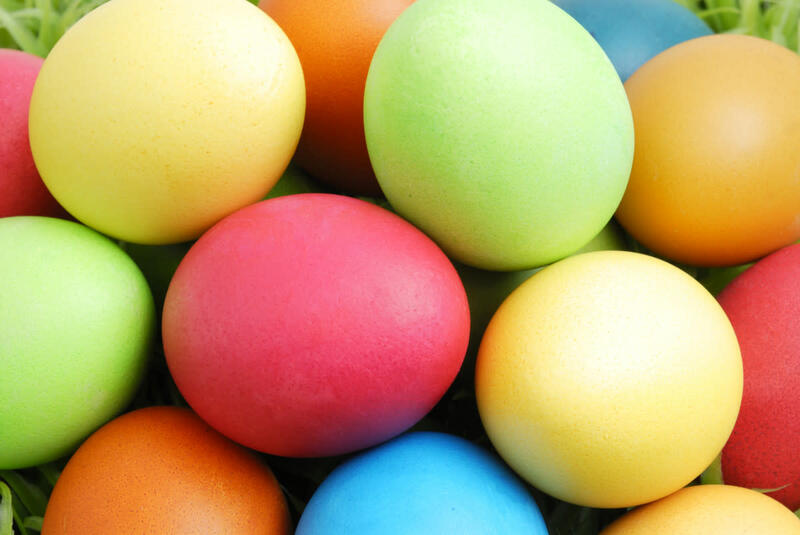 The Ostensions are religious festivals held every seven years in many towns of the region. 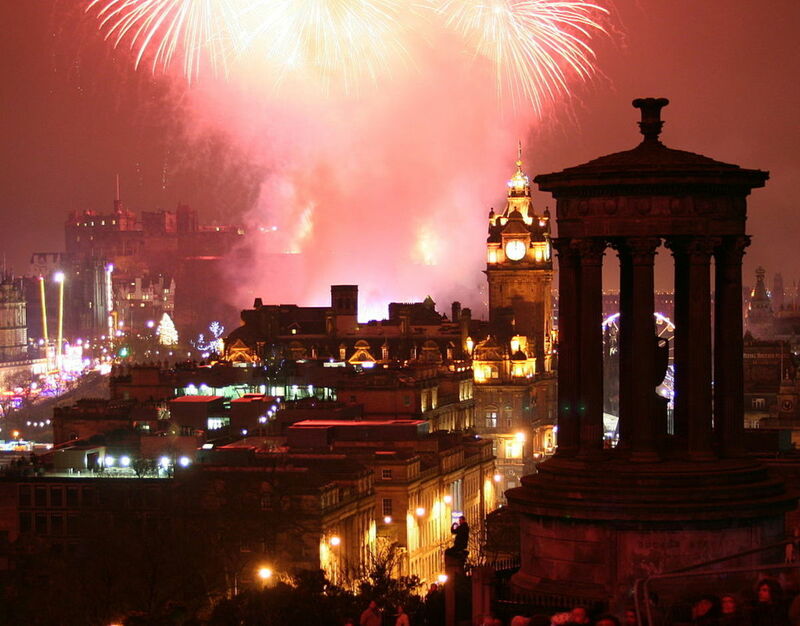 Unfortunately, the last Ostension year was 2009, so you have plenty of time to book a trip for the next one. There are many events in the medieval festival at Rochechouart that include the local people. Singing, dancing, parades, demonstrations of ancient crafts and jousting to name but a few. In 2010 they also had archery, music, (see the video below), crafts from the times and medieval games. There's always so much to see, I'm looking forward to 2012! One of the highlights of the festival is the banquet held outside, in front of the castle. The tables set ready for the evening will give a taste of things to come. 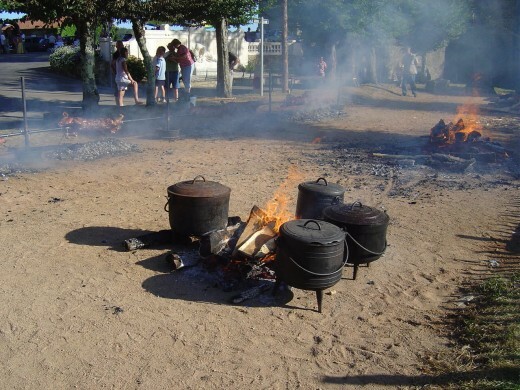 Just outside the square, between the boules pitch and the road, a line of pigs roast throughout the afternoon, ready for the feast in the evening. And be warned. 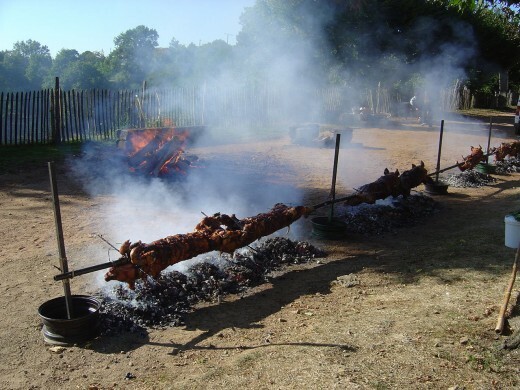 A normal communal dinner in Limousin takes five hours! 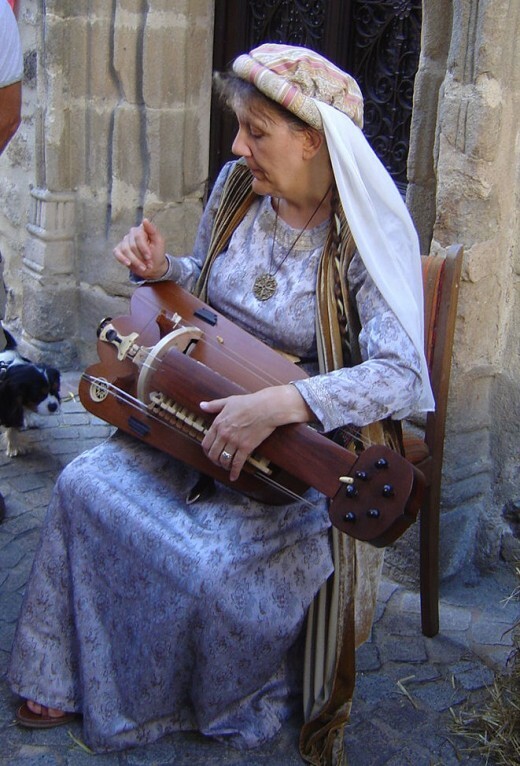 Do you have anything to say about Medieval festivals in France or Rochechouart? INFJay, you'd both be most welcome! Looks like it would be so much fun...and that roast pork, well perhaps some day my wife and I will visit. Thanks for yet another enticing hub! Ursula, many thanks for your enquiry. I would start with the Office of Tourism at Rochechouart as they speak English. Their e-mail is: contact@tourisme-meteorite.com and phone number is +33 (0)5 55 03 71 72. I do hope that they can help you. Hope to meet you if you make it to Rochechouart. It looks like an amazing place I should love to visit! MedievalCostumes thanks for getting in touch. 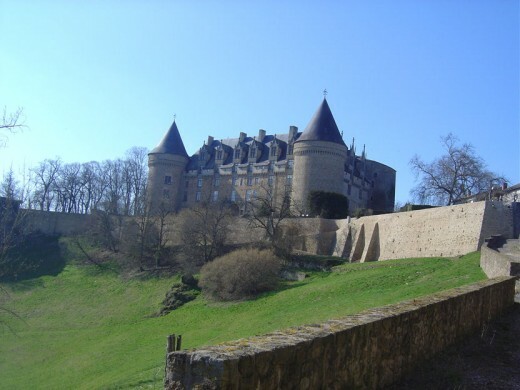 This area is great for medieval Chateaux, should be perfect for you! Sounds like a lovely place. Thank you for sharing your experience and photos. 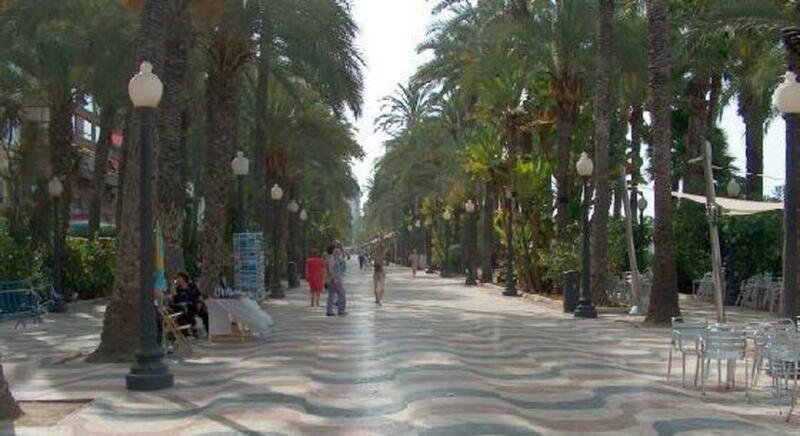 Many thanks for your comments, Alicante and Duchess OBlunt. The Chateau is amazing and using it as a Centre for Contemporary Art is excellent. I don't know if the courtyard has been used in films, I'll find out about that, but really, it would be amazing if it hadn't been! Sounds like such a wonderful thing to be a part of. What great history! The castle courtyard looks familiar. Is it used in movies? I'm sure I've seen it since I love historical movies. The three muskateers - the scene with the monks - I could swear that was filmed in that courtyard! What a wonderful place. I envy your experience. Good Hub. Thank you.